Last evening, I spent time playing music with some good friends and making some new friends. 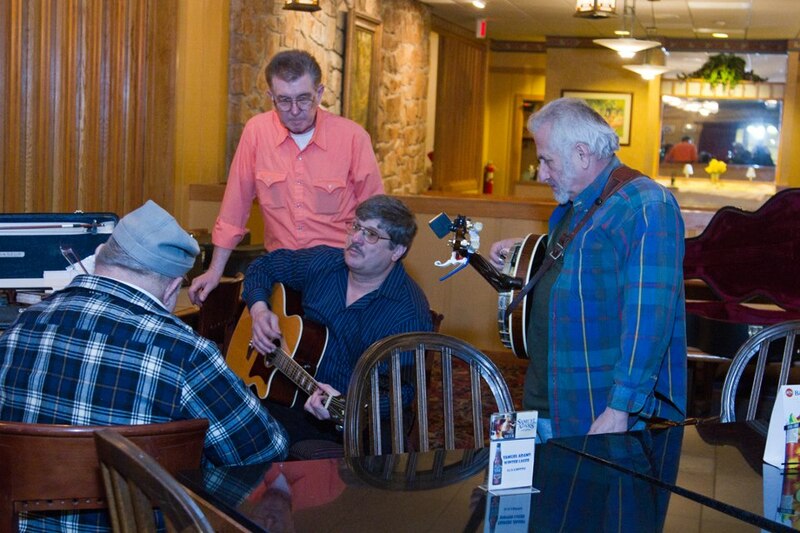 The event was a bluegrass music festival held at the Clarion Holiday Inn on Route 68 just north of Interstate 80. The place was packed! Musicians were to be found all over and in special gathering rooms. Also, bands played all evening on stage. 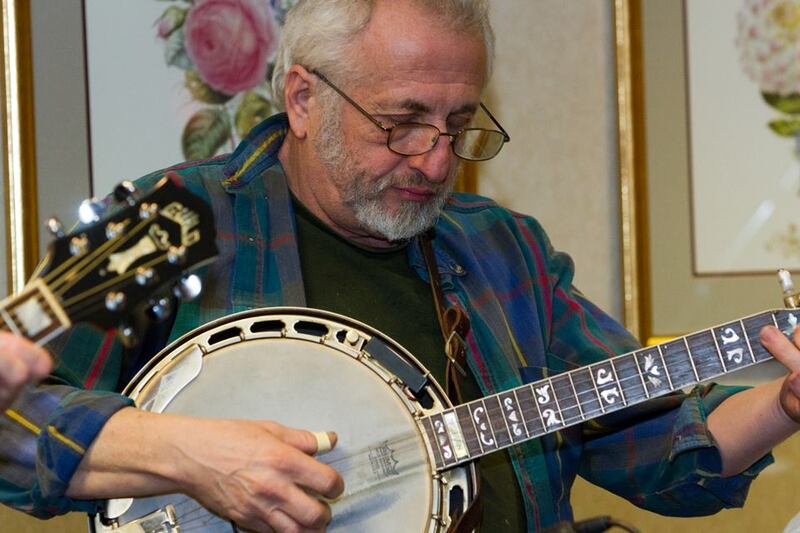 I do not have many opportunities to play bluegrass so I was happy to have been asked by my friend, Bob Sink of Corsica, Pennsylvania. 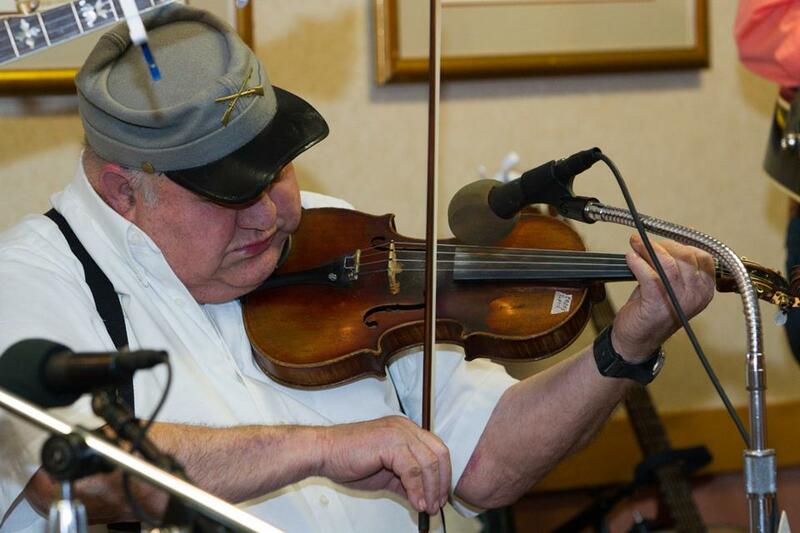 Bob is an excellent, old-fashioned style fiddler and mandolin player. He usually can be identified with his Confederate style kepie hat! Bob has had some serious heart-related issues over the last month. I was elated to see him out and about again! Another old friend, Butch Rupp was present and he played dobro and guitar too. He played with the gospel band I am currently involved with for a time. We can always have some laughs when we are together. 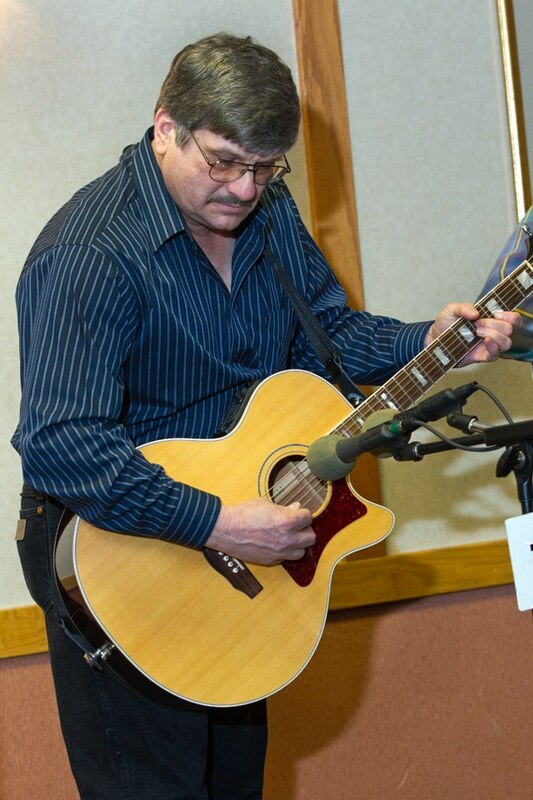 Another musician, I met earlier in the evening was Mike Elias from Ohio. He played the 5-string banjo. A nice fellow and good musician! 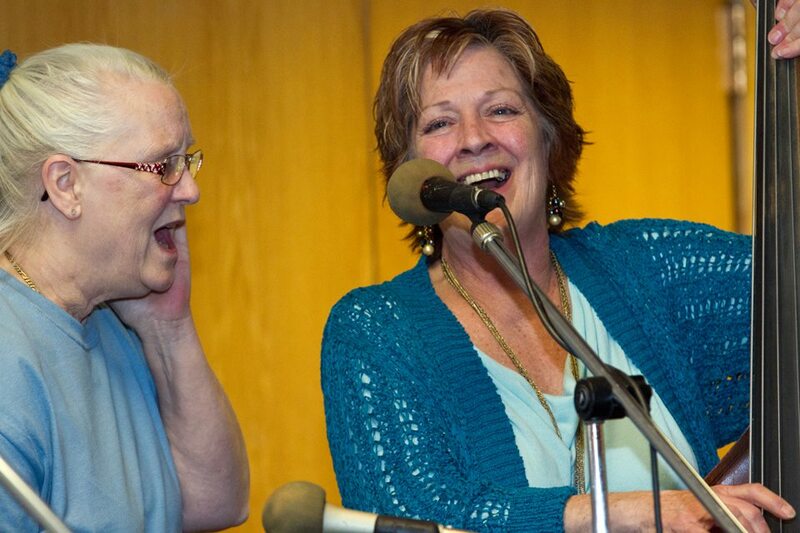 The last musician I played with was Peg Seroko, also, from Ohio. She sang and played the upright bass. I was apprehensive to go and play with all of these people because of not knowing what to expect and meeting them for the first time around 7:30. At this time we began going over some songs and hit the stage at 9:00! Like I said I don’t get to play bluegrass very often and I was met with a list of songs with only three having heard before. I would just have to fake it! I enjoyed myself, Laurie enjoyed herself and we met some great people. I have one issue with playing bluegrass music. I am not a loud guitar player. My acoustic Guild, although having two mics at the sound hole proved to be difficult for me to hear through the monitors. This seems to be an issue everywhere I play in such a way. This causes me to pick the strings harder and that action, in turn, causes my playing to be less smooth. The public loved it, however. They could hear it well through the main speakers. I even was blessed with applause! Like I said they are great people!